Jank Facques | Melbourne! We Are DJS. Superstar DJS from Melbourne, Australia. They might not be good lookin', but they're lookin' good. Jank Facques is the combined forces of Melbourne DJs Frank Heeney & Jacques Hollenbach. These self proclaimed Superstar Djs are on a mission to bring the glamour and excitement back to entertainment. After an inspiring whirlwind adventure around Europe in 2014, Jank Facques have spent the past two years performing around Australia at numerous fabulous events, fashion shows & weddings, including a year long Saturday Night residency at Melbourne's wonderfully decedant Carlton Hotel. Looking for a spikey haired DJ, to show up 5 minutes before your wedding begins? In an ill-fitting suit, armed with a Top Of The Pops CD from the summer of 1988, complete with a half dying rose on his jacket's lapel? Jank Facques are the real deal. We will tailor a wedding package that's right for you. We can provide as much, or as little as you need. Sound & Lighting - Jank Facques can provide full Sound & Lighting set ups for 20 - 2000 person capacities. Tailored Playlists - Jank Facques have an extensive music collection covering all genres & decades. We will work with you to perfect a personal selection of music for your special day. A Great Attitude - Our vibe will shine through because we love what we do! Extra Services - Check out our extensive network of people we know. If you are looking for something particular, that's not here. Never fear Jank Facques are near. Book Jank Facques for your next wedding!!! Jank Facques are a flexible duo. They can be booked for a single performance, or help organise an entire event. Be it a disco in your office, Glastonbury or DJing on horseback down Main Street. Jank Facques have the experience, ideas and motivation to ensure the success of your unique event. After an inspiring whirlwind adventure around Europe in 2014, Jank Facques have spent the past two years performing around Australia at a numerous fabulous events, fashion shows & weddings, including a year long Saturday Night residency at Melbourne's wonderfully decedent Carlton Hotel. Get in touch with Jank Facques! 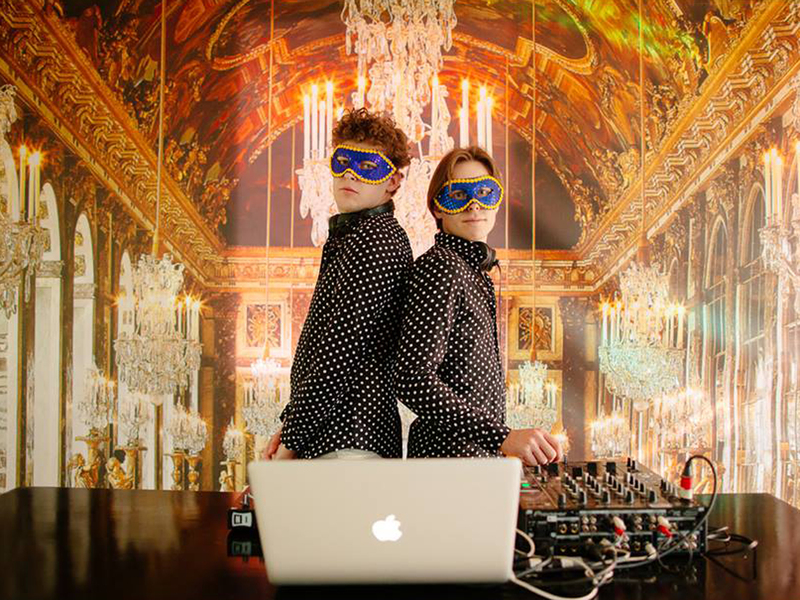 Now you have the two most fabulous DJs in the world... Jank Facques!!! Here are some of our talented partners in crime. Ready to get Jank Facques? We know how to party - Let's do it together. Contact us for some fabulous at your next event. LOOK AT ME, NO LOOK AT ME.